The tripod feet linked with bungee cord induces a quick, simple and secure automatic set-up. The base brings three rest points for variable placements. 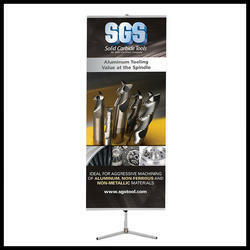 Looking for “Tripod Banner Stand”?